The 6-Step Secret To Getting Top Google Rankings in 14 Days Or Less and Profiting Over $3,000 Per Month, on AUTOPILOT! 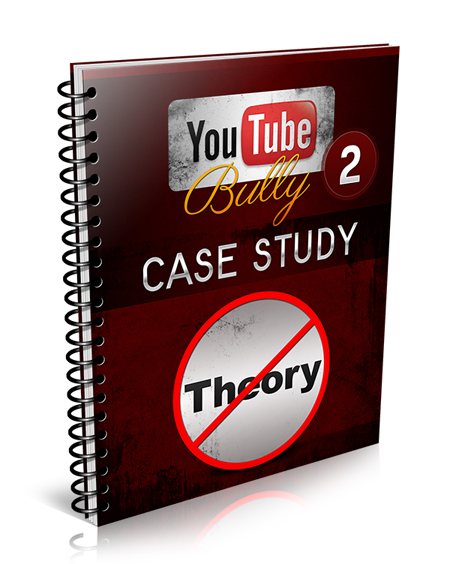 If you are tired of courses that promise to allow you to quit your day job.... and suspect that they leave the important details out, then you will want to download the Youtube Bully 2 Case Study, TODAY! Several people able to quit their day job by following my methods...and many others creating their first income online. My goal with this course is to increase that number. If you are able to create ONE simple video that makes over $500-$1,000... It doesn't take a whole lot to quit your day job. YouTube Bully 2 Case Study is ranked 5 out of 5. Based on 4 user reviews.